The brunch menu has been carefully planned to keep all palates in mind. There are live counters for egg and pasta. 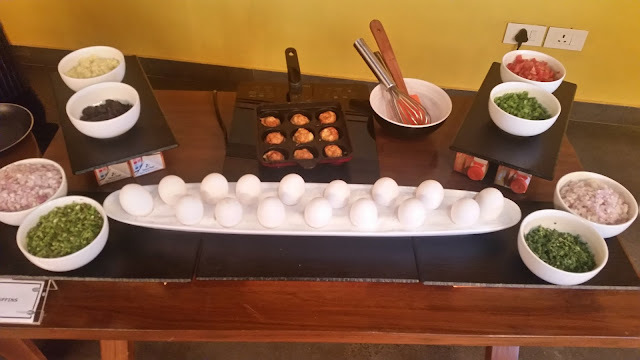 The egg counter for the day had around a dozen varieties of egg-based dishes including some delicious egg muffins and also all provisions for ordering your favourite egg combo. The pasta counter had penne and spaghetti with a choice of arrabbiata or alfredo sauces. A salad bar had quite a few options of vegetables and sauces to customize your own salads. One of the highlights of the brunch is that the price includes free passes to ten arcade games at Smaash. So if you are a fan of arcade games, the deal becomes extremely attractive for you. As I was exploring the items of the buffet, I came across Pineapple Jalebis. The sliced pineapples soaked in sugar and fried looked extremely inviting, and I decided to start my brunch with this. The dessert did not disappoint me one bit, and even a sweet-averse person like me went back for refills. Among the starters, there were some Hot Steamed Momos, both veg, and chicken. 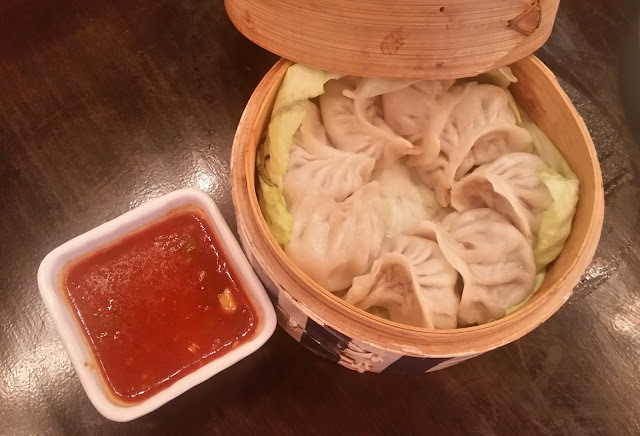 Our momos were well stuffed with chicken filling, though the accompanying chilli dip was not up to the mark, as it was dilute and not spicy at all. Panko Fried Fish and Chicken Szechuan Lollypops were the other two we tried out , the first attempt from the buffet landed us some soggy fish, and on request we were served some good ones straight from the kitchen. The lollypops had a nice marinade and I loved the taste. The highlight of the vegetarian starters was the Subz Khazana, with varieties of vegetables like cauliflower, tomato, and capsicums prepared in a tasty dry masala. 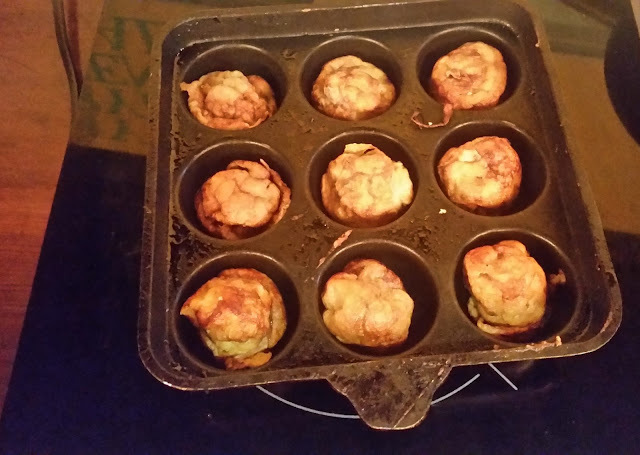 From the egg counter, we tried a variety of egg recipes – Stuffed omelet, Cheese omelet, and Egg muffins. 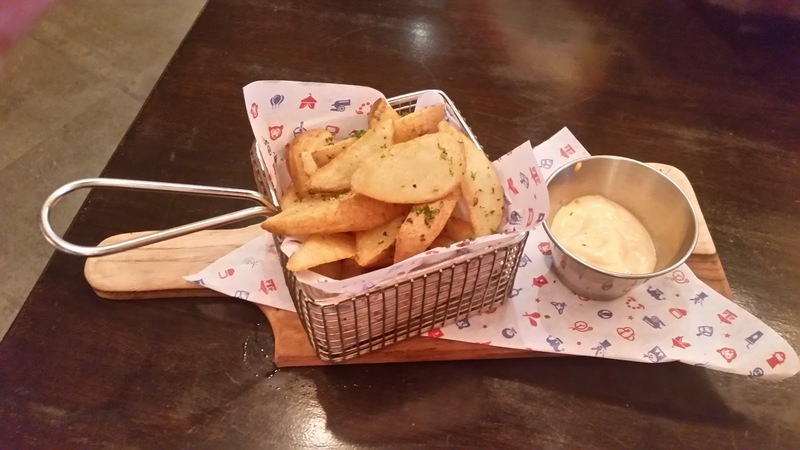 Some well-made Potato Wedges along with a mayo dip were served with the eggs. Penne Pasta with Alfredo sauce came freshly prepared from the live counter. The main course had some excellent Lagan Ki Gosht which was a clear winner with naans. The thick gravy was perfectly spiced. The fish dish Rai Tamatar Machhi impressed too. 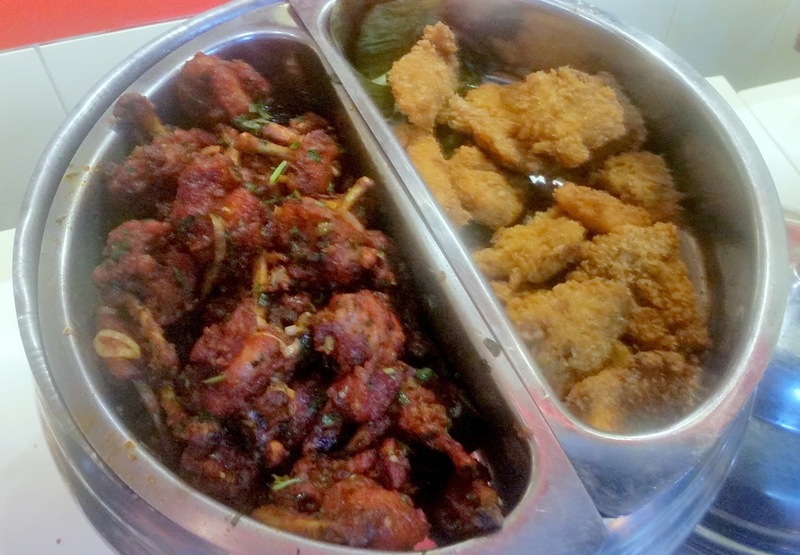 And in Hyderabad, there is no buffet without biryani, Chicken Dum Biryani was the day’s choice. 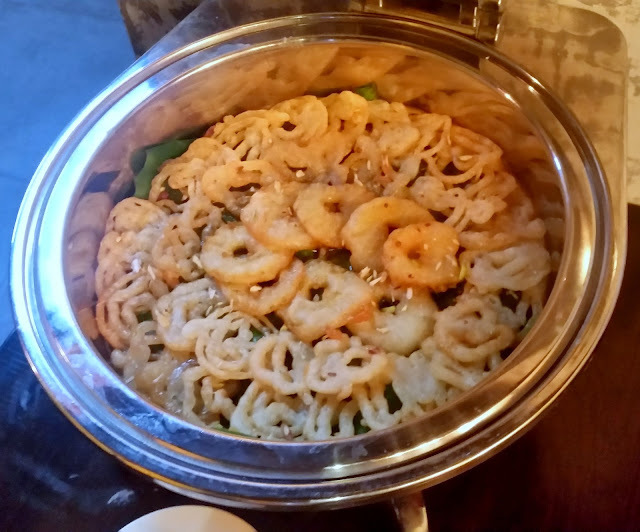 For lovers of oriental food, I enjoyed Hakka Noodles, the well-known Chindian dish from Tangra in Kolkata. Vegetables in Hot Garlic Sauce was a perfect companion to it. For lovers of Thai food, the buffet had Thai Red Chicken Curry. I have already mentioned about the Pineapple Jalebi, the other desserts on the buffet were Chocolate Brownies and Red Velvette Mousse. If the management decides to serve Hot Jalebis, they need to do it through a live counter rather than keep in the buffet. The Gulab Jamun Tart was a nice innovation. I am not a gaming enthusiast, so did not play any of the free arcade games which are part of the brunch package. Some of my friends and their children, however, enjoyed them. 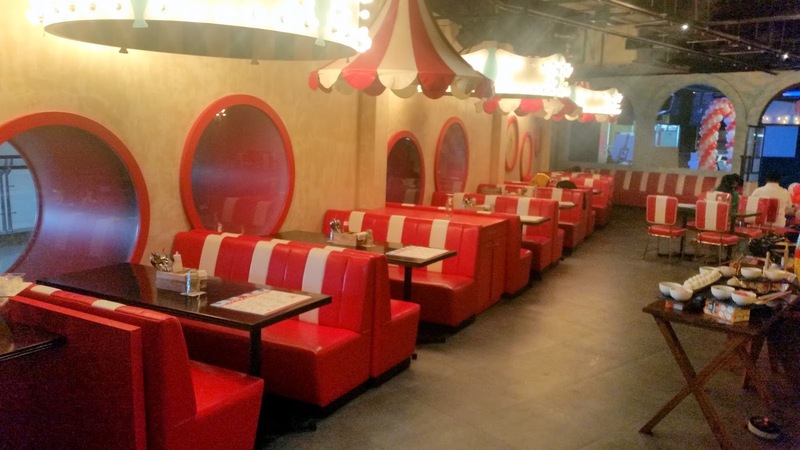 There were lots of children who were present at the brunch – most spent their time at the arcade games and came rushing in to finish their lunch in no time, before going back. Their parents were, enjoying a leisurely brunch with separately ordered drinks at the tables. 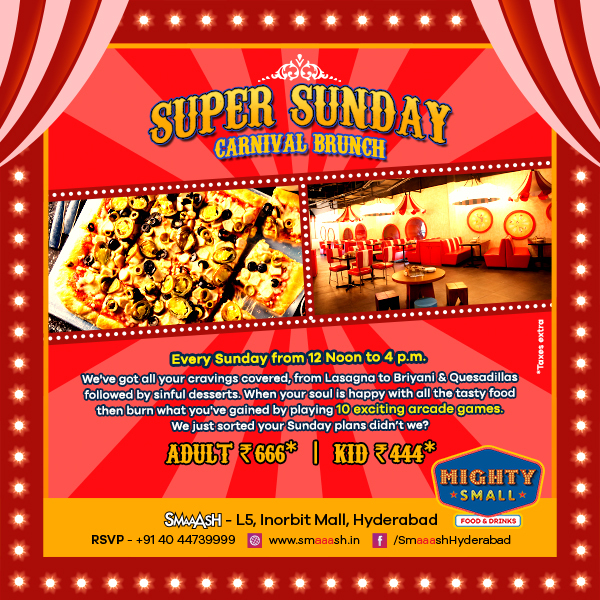 The Carnival Sunday Brunch is priced at Rs 666 (plus taxes) for adults and Rs 444 (plus taxes) for children. 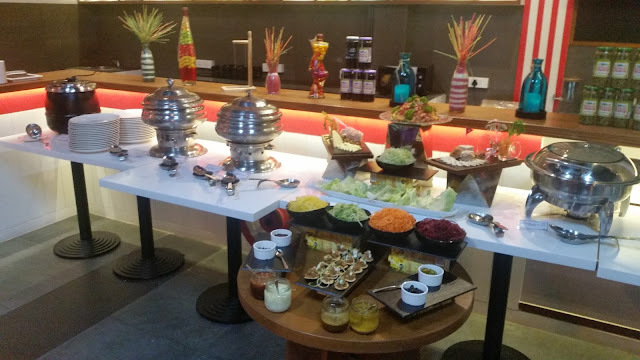 It is a medium-sized value for money buffet, so do not expect a huge spread. Whereas ten arcade games are part of the deal, alcohol is not. The management should rethink this and also have options of brunch packages with unlimited alcohol as this is the current trend here in Hyderabad. Also, the starters must be served on the table rather than kept in the buffet as they tend to get soggy. In spite of these small issues which can easily be handled, I feel the brunch will become a hit with families and groups with kids and game lovers.